A luxurious and fast absorbing cream with Juveleven™, a powerful hexapeptide that helps to rejuvenate and boost the skin’s appearance. 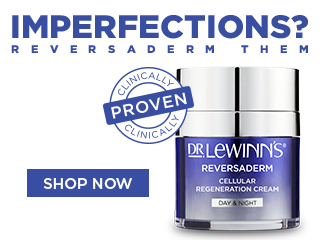 Formulated with a powerful hexapeptide Juveleven™ that helps to rejuvenate skin cell performance by 10 years. Contains rejuvenating Vitamin A and PatcH2O™ providing intense moisturisation lasting 48 hours and Hydroviton® Plus which is clinically proven to increase hydration levels instantly. Nourishing Shea Butter protects and soothes the skin and Niacinamide (Vitamin B3) improves skin elasticity and evens the skin tone. Leaves dry skin feeling and looking rejuvenated and nourished. Apply to face and neck area in the morning and evening after cleansing and toning. Avoid direct contact with eyes. Rinse immediately if contact occurs.